Learning A New Skill Works Best To Keep Your Brain Sharp : Shots - Health News Brain training has become a multimillion-dollar industry. But if you want to improve your memory, don't waste your time and money on brain games. You'd be better off learning how to quilt. Brain training is big business, with computerized brain games touted as a way to help prevent memory loss. But new research shows you might be better off picking up a challenging new hobby. To test this theory, Dr. Denise Park, a neuroscientist at the University of Texas at Dallas, randomly assigned 200 older people to different activities. Some learned digital photography. Another group took up quilting. 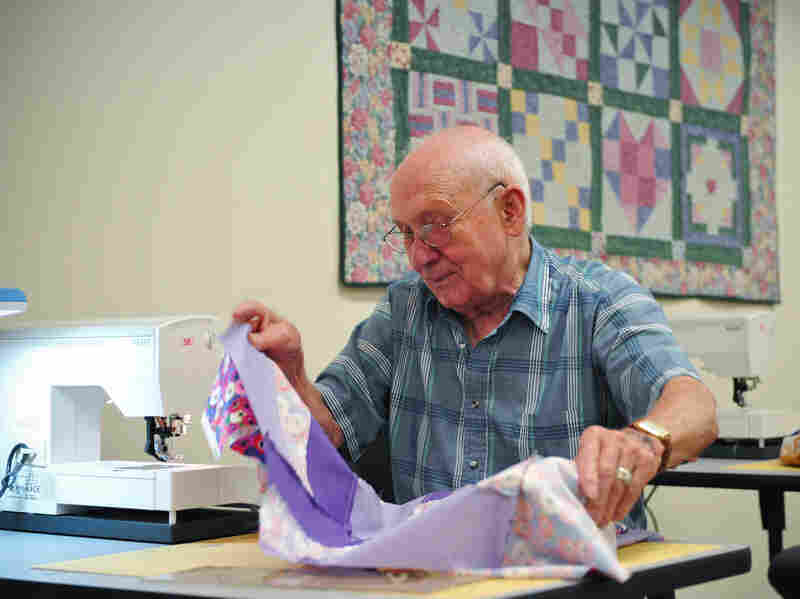 Quilting, which requires measuring and calculating, also helped improve participants' memory. "Quilting may not seem like a mentally challenging task," Park says. "But if you're a novice and you're cutting out all these abstract shapes, it's a very demanding and complex task." The groups spent 15 hours a week for three months learning their new skills. They were then given memory tests and compared with several control groups. "Rather than just comparing them to people who did nothing, we compared them to a group of people who had fun but weren't mentally challenged as much," Park says. That "social group" did things like watch movies or reminisce about past vacations. Another control group worked quietly at home, listening to the radio or classical music or playing easy games and puzzles. Park's research, which was published in the journal Psychological Science, showed that not all activities are created equal. Only people who learned a new skill had significant gains. "We found quite an improvement in memory, and we found that when we tested our participants a year later, that was maintained," Park says. 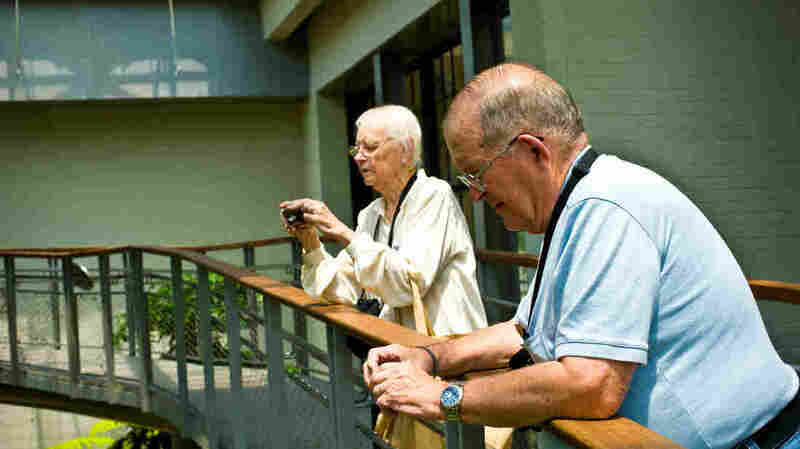 The greatest improvement was for the people who learned digital photography and Photoshop — perhaps, Park says, because it was the most difficult. Jimmy Wilson, 82, agreed to learn to use a computer, a camera and Photoshop for the trial. "That was really quite a challenge for me when I got into the photo class," Wilson says, "because it involved a computer and I had never even touched a computer." Wilson is motivated to fight dementia, in part because he saw what the disease did to his wife toward the end of her life. "When my wife died," he says, "it would have been real easy to just become a total recluse." Instead, Wilson embraced being socially and mentally active. He's a member of the choir at his church, and when he's not reading current events and books on his Kindle, he gets together with family for Mexican food. 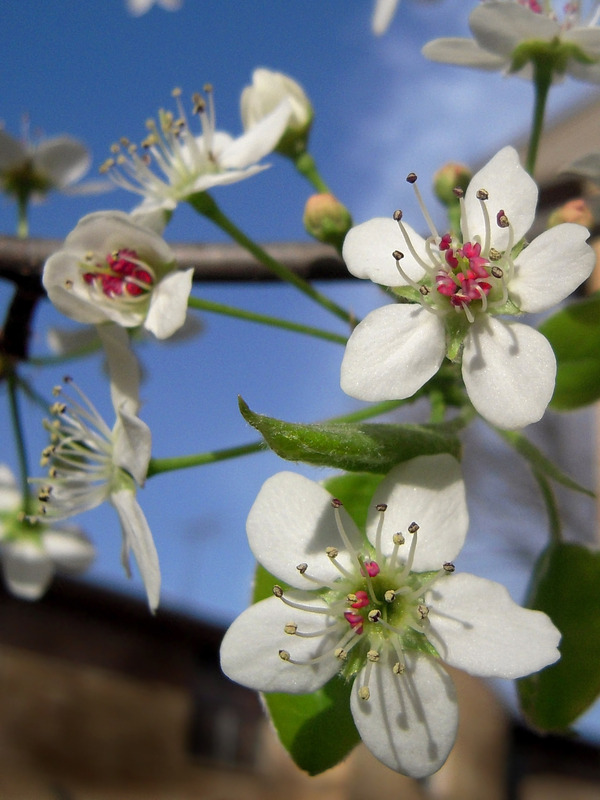 A photo taken by a participant in the UT Dallas trial. Since Wilson participated in the trial, he says, he has noticed improvement in his memory, although he says it still isn't perfect. He admits it can be frustrating learning to use new technology, but he knows it's good for his brain. So how does learning a new skill help ward off dementia? By strengthening the connections between parts of your brain, says cognitive psychologist Scott Barry Kaufman. While brain games improve a limited aspect of short-term memory, Kaufman says, challenging activities strengthen entire networks in the brain. "It really is strengthening the connectivity between these team players of these large-scale brain networks," he says. Denise Park likens it to an orchestra. "Players come in and players go out," she says. "Sometimes when something is really demanding, the whole orchestra is playing, but they're not playing harmoniously." The goal is to keep each individual player in best form, and make sure there's coordination. And improving your own coordination, through quilting or learning to play bridge, may be a way to maintain your memory, and have a bit of fun, too. "We hope that by maintaining a very active brain, you could defer cognitive aging by a couple of years," Park says. There's one more important thing you can do to ward off memory loss: exercise. Art Kramer, a neuroscientist at the University of Illinois, studies the impact of exercise on the brain. In one study, he found that just 45 minutes of exercise three days a week actually increased the volume of the brain. Even for people who have been very sedentary, Kramer says, exercise "improves cognition and helps people perform better on things like planning, scheduling, multitasking and working memory." So if you're looking to boost memory, there's reason to challenge both your body and your mind.